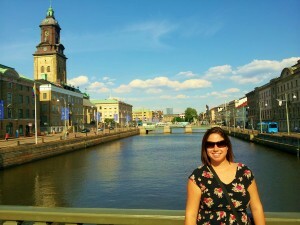 The first stop on our adventure was Gothenburg, Sweden, the second biggest city behind Stockholm. We hadn’t heard of Gothenburg before last April, when we met not one but two people (who didn’t know each other) on our tour of the Salar de Uyuni. They invited us to come visit, and probably much to their surprise, we showed up. And we are glad we did, because we had an amazing time! We flew Scandinavian Airlines (SAS) from Frankfurt, and it was a pleasant experience. 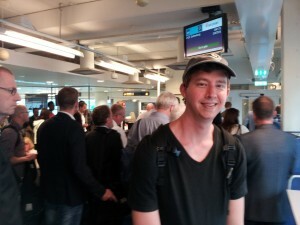 I knew I was going to like it when most of the people in the boarding line were my height – it was nice to finally fit in after so many “short” countries (Sara wasn’t such a fan). We landed around 10 PM and the next shock was that it was still light out! We forgot just how far north Sweden is, and in the summer, it is bright. Like, full daylight by 5 AM, and no darkness until 11 PM. The last night we were there we stayed out until 3 AM, and there was a creepy twilight even then. Anyway, we had a great few days there. Having friends who know live there and know the city can make all the difference when traveling, and this was no truer than in Gothenburg. Our first day, we met Vilhelm (who we weren’t staying with), and he showed us around the city on foot, including a park with a nice petting zoo and seals (not for petting), a cool fort on a hill that had never been attacked (I guess it was that intimidating), and to the fish market, which was so much cleaner than any fish market we had seen in Asia or South America. We then met with Disa (who we were staying with), and she took us to a cool rooftop bar overlooking the river, and to a delicious Middle Eastern restaurant. 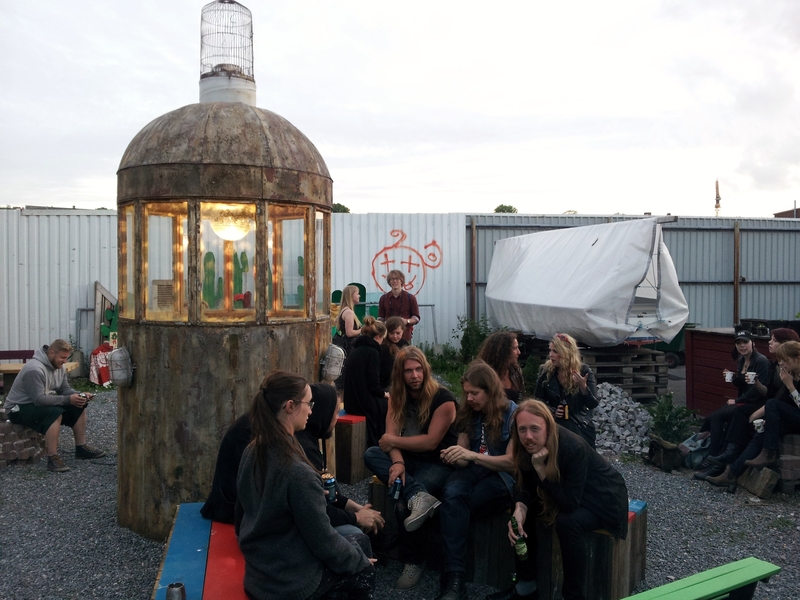 We should mention that it was the warmest day in Sweden for all of 2014, so all the Swedes were incredibly happy to be outside, and extra nice and smiley while we were there. The second day we went to Liseberg, an excellent amusement park located right in the city. Our friends both gave it rave reviews, so we figured we’d give it a try. It was awesome. No, really, one of the best amusement parks we’d ever been to. They just opened a new rollercoaster, the Helix, which was a ton of fun. They also have a great wooden rollercoaster, Balder, which has been voted best in the world several times. Aside from the rides, we liked that you could buy affordable food there, and that you could get there on public transportation, two things definitely lacking about US amusement parks. Our only complaint was that we didn’t win a giant 4lb Toblerone bar from the game-of-chance we played. Afterwards we met up with Disa for beer (which, like restaurant food, are very expensive in Sweden). Our last day was a double-dose of Swedish experiences few tourists get the chance to do. 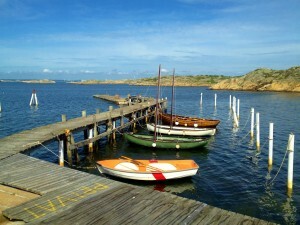 The first was a ferry trip out to the archipelago, which is a 45-minute tram ride from the city. We went to Brännö, which has around 750 inhabitants, and no motorized vehicles are allowed on the island. It was great to walk around, enjoy the beautiful weather, and we made it to a secluded section of beach where we had a nice picnic. Wouldn’t be a terrible place at all for a summer home! Truck. Stop. Alaska. In all its glory. That night, we went to an underground rock club called Truck Stop Alaska (true story). The crowd here was notable for dressing in black leather, and the guys having super long hair and bushy beards. It was a trip. Several of Disa’s friends and friends-of-friends were there, and they were all nice and came over to talk with us. We were impressed that nearly every Swede speaks excellent English, and they like doing it, so we had great talks about everything from differences in maternity to the latest episodes of Game of Thrones. The music was fine (Swedish rock was not our thing, but there was one where the lead singer rocked out with a flute), but it was nice because it was the cheapest beer in all of Gothenburg (still 25K, or $3.78, for a 12oz can) and we had a great night. We ended up leaving around 3 AM, which was strange because the sun was already beginning to rise. It was sad to say goodbye to Disa and Vilhelm, but we are fortunate to have great friends all around the world. We did close out our trip with one last Gothenburg specialty: the kebab pizza. It was as delicious as it sounds. It gave us a nice base for our next stop, Copenhagen! This entry was posted in Sweden. Bookmark the permalink. The talks of daylight reminds of home in Alaska. That’s cool to hear it happens there too!